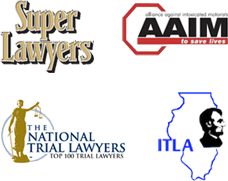 Chicago aviation accident attorney David Nemeroff has years of experience helping Illinois transportation accident victims maximize their compensation. Nemeroff Law Offices represents clients in the Chicago, Illinois area who have suffered personal injuries or lost loved ones in aviation accidents. Modern technology and government regulation have made flying one of the safest forms of transportation. No one should ever have to lose a loved one in a plane crash. When an airplane accident results in injury or death, determining who the negligent party is can be a complex task. Often it is not just one but several involved parties who are ultimately found liable. Those could include the airplane manufacturer, manufacturers of airplane parts and the airline itself. We have the resources to obtain maximum compensation of the victims of air crashes. Our relationships with renowned aviation experts and other industry personnel are invaluable asset to clients seeking their rightful damages. They all contribute to the complex task of determining fault, holding the responsible parties accountable and ensuring that similar calamities do not happen again. Many of these incidents can result in serious injuries. It is not uncommon to see fractures/broken bones, back and spinal cord injuries, traumatic brain injury and, sometimes death. At Nemeroff Law Offices, in Chicago, Illinois, we are committed to helping people injured in airplane accidents recover compensation for their injuries. If you were injured or lost a loved one in an airplane accident, you may be entitled to compensation. You may be entitled to compensation for medical bills, pain and suffering, loss of earning, and future loss of earnings. In the event that a death has occurred as a result of the Aviation accident, you can file a wrongful death suit. Contact an experienced Chicago plane crash attorney to schedule a free confidential consultation. We look forward to earning you the full compensation you are entitled to under the law. The personal injury and wrongful death lawyers at Nemeroff Law Offices represent many victims who are injured or killed by the negligence of others. We will help you recover the money damages you or your family is entitled to. If you or someone you love has sustained injuries or loss from a aviation and airplane crash, contact Nemeroff Law Offices today. Our experienced bicycle injury attorneys are available to speak with you directly.